Servicing Cumberland and York counties. At Kelly's, we believe in only the best for your best friend. Kelly has been active in the breed of Australian Shepherds for fifteen plus years. She has bred, raised, and shown Aussies titled in Conformation, Rally, Obedience, Agility, Flyball, & Herding. 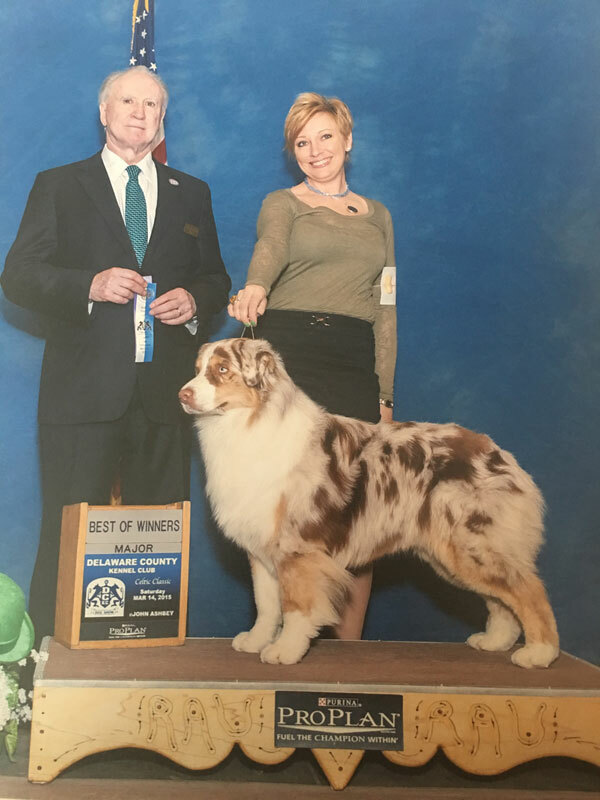 Kelly is an active member of ASCA (Australian Shepherd Club of America) and USASA (United States Australian Shepherd Association), and is a Breeder Judge for ASCA. Pet grooming for your best buddy. Kelly’s Canine Connection is a small family owned & operated pet grooming business. We are open by appointment and the occasional drop in. Kelly has been a professional all-pet stylist for 20 plus years. She opened up her very own business in February of 2009. We aim to make you and your treasured pet, our special client. We specialize in show grooms for your pet, whether they are a Best in Show pet or just your couch buddy! All of our clients receive the best individualized care possible. We groom all breeds of dogs & cats.